Fact: While it is true that colored inks are often more difficult to remove than dark ink, ink of many different colors can be effectively removed with laser. It is important to select a provider who has the correct wavelengths of laser available to treat your particular tattoo. Fact: Home remedies are not effective in safely removing tattoos. The only effective method of removing a tattoo (other than surgically cutting it out) is with laser. You should also be cautioned about using certain home remedies advertised online. IN our center, we have seen people try these home remedy creams prior to coming to see us and unfortunately have ended up with permanent scarring from the cream, without any removal of the tattoo ink. 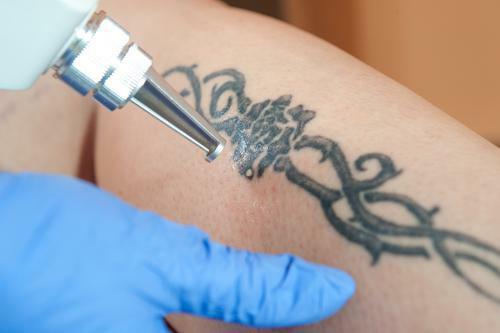 Fact: One of the more common tattoo removal myths are between lasers and skin types. Truth is there are certain types of laser that are safe to use on most skin types, even very dark skin. The wavelength of energy must be carefully selected. Your provider should examine your skin and discuss with you the options that are available for your particular situation. Fact: Popular tattoo removal myths include the older the tattoo, the harder it will be to remove. Older tattoos have often lightened over the year. That is because the body’s immune system views the ink as a foreign material and tries to remove it. However the ink particles are too large for the body to remove completely. Therefore, the ink may look lighter over time, but it has not disappeared. These types of tattoos will often respond well to laser treatment and often will disappear faster than newer tattoos. Fact: While it is true that there is nothing medical that is completely without potential side effects, scarring is actually NOT common with laser treatment. Skin lightening or skin darkening are uncommon effects. Your doctor should discuss the likely result as well as the possible risks when talking about treatment with you. Fact: Unfortunately laser tattoo removal myths don’t have this one right. Laser removes tattoos by breaking down the particles of ink into smaller particles that can be removed by the body’s natural immune system. This process takes multiple treatments to be effective. The number of treatments needed is a function of many factors, including the color of the ink, the density of the in, the individuals skin type and the location of the tattoo. While it is impossible to know exactly how many treatments will be needed, your provider should be able to give you reasonable expectations regarding the time and number of treatments needed to obtain the desired result. At Shore Vascular & Vein Center / Aesthetic Laser Center, we use the Enlighten 3 picosecond laser for tattoo removal. 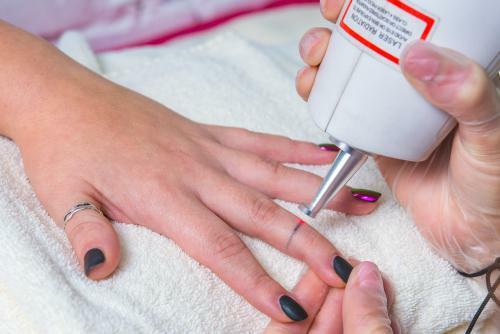 This laser uses 3 distinct wavelengths of energy to effectively remove tattoos of all colors, often with 40% fewer treatment than would be required.